It’s time to embrace the inner baddie in you and say goodbye to all the saccharine sweetness of being a Disney princess as Colourpop is releasing their new Disney Villains makeup collection. You can expect to see makeup inspired by various Disney villains such as The Evil Queen (Snow White), Dr. Facilier (Princess and the Frog), Hades (Hercules), Maleficent (Sleeping Beauty), Cruella de Vil (101 Dalmatians), and Ursula (The Little Mermaid). Colourpop first teased a major announcement on their Instagram, posting a simple video with the hashtag #ItFeelsGoodToBeBad on it. 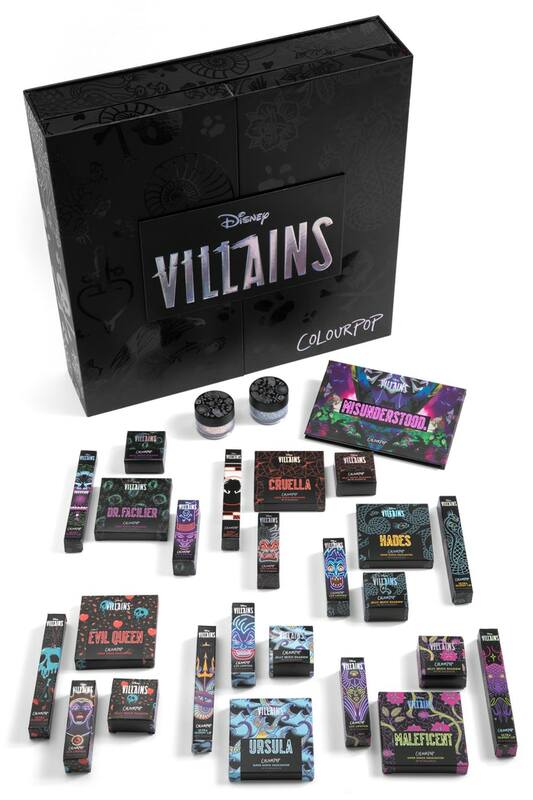 An update quickly followed a few days later, with Colourpop officially announcing their collaboration with Disney for a makeup collection featuring fan-favourite villains, to be released on March 21. 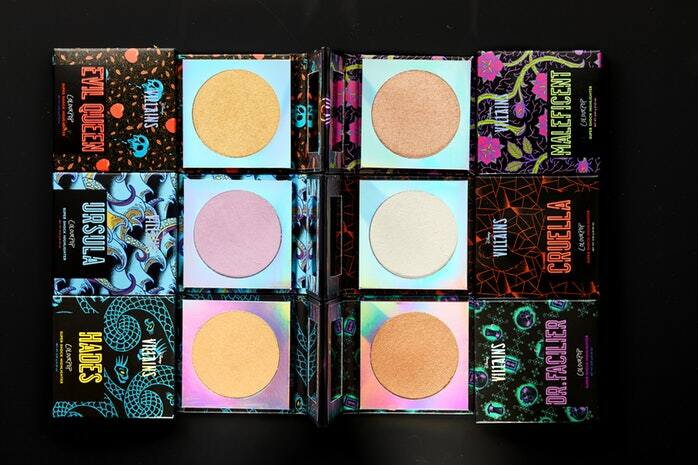 This isn’t the first time Colourpop has collaborated with Disney. Just last September, both companies jointly worked together to release a collection themed after iconic Disney princesses like Belle (Beauty and the Beast) and Jasmine (Aladdin). Read on to find out more about the wickedly good makeup Colourpop will be releasing come March 21. 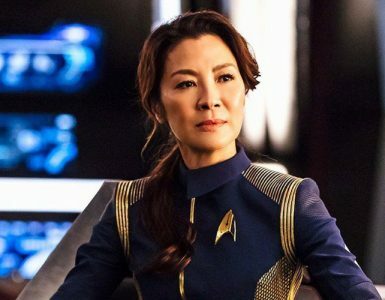 We all know the villains have always looked better with their fierce makeup. 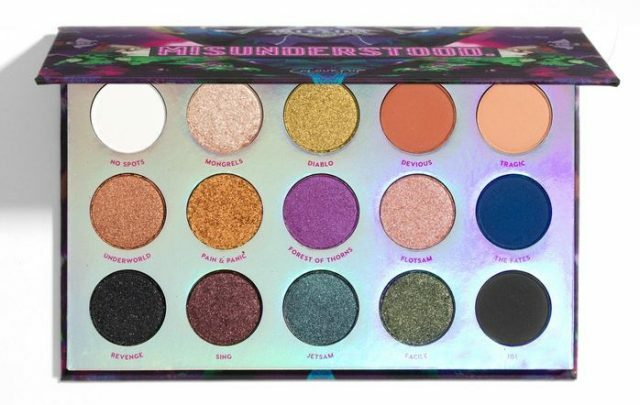 Now you can have your eyeshadow be on fleek with the Disney Villains Pressed Powder Palette with interestingly named colours such as the dark purple Forest of Thorns, a clear allusion to the thorny forest Maleficent grew, and the black shimmer eyeshadow aptly named Revenge. 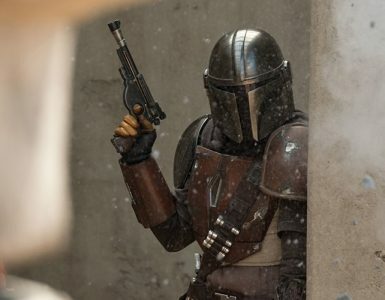 Who would not want to look their best when enacting vengeance on your enemies? 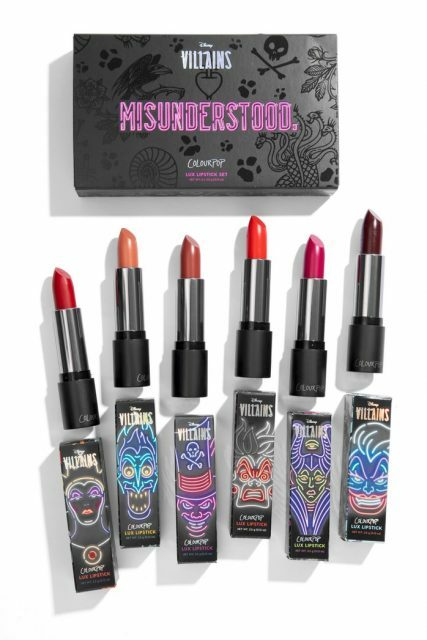 The Lux Lipstick collection features The Evil Queen, Hades, Dr. Facilier, Cruella de Vil, Maleficent, and Ursula. Each lipstick also comes in a nicely designed box, featuring the devious-looking villains lined in LED lights. 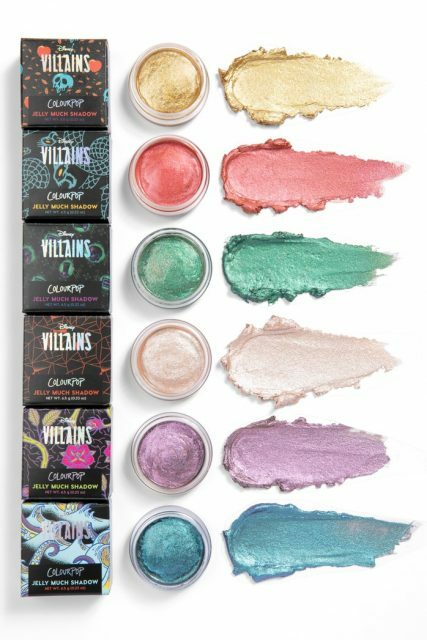 Colourpop’s Jelly Much Eyeshadows are back with more villain-themed colours. 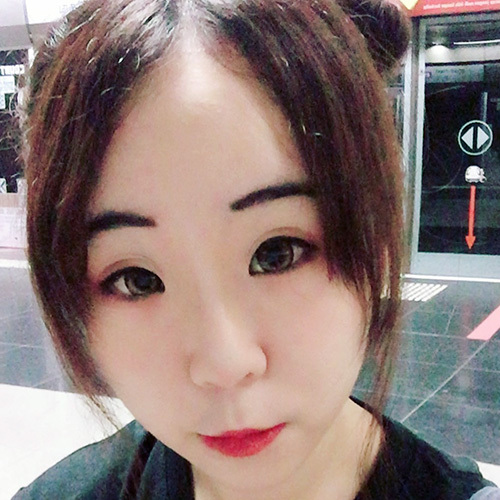 Now you no longer need to worry about your eyeshadows creasing or fading when you’re getting that poor unfortunate soul to sign a contract, giving her voice to you in exchange for legs! Much like the Lux Lipsticks, each Ultra Glossy Lip is themed after a particular Disney villain and, as to be expected from Colourpop, comes in beautifully designed boxes. Most feature motifs of the villains, such as Ursula’s tentacles and shell, though Cruella’s one outright has her silhouette. We guess the scariest thing about Cruella is Cruella herself. No Disney villain should have to go out without popping highlights, and neither do you. Get your most badass glow with these character-themed Super Shock Highlighters. 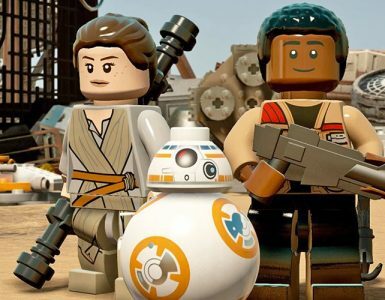 Who says only Princesses are allowed to glitter and glow? 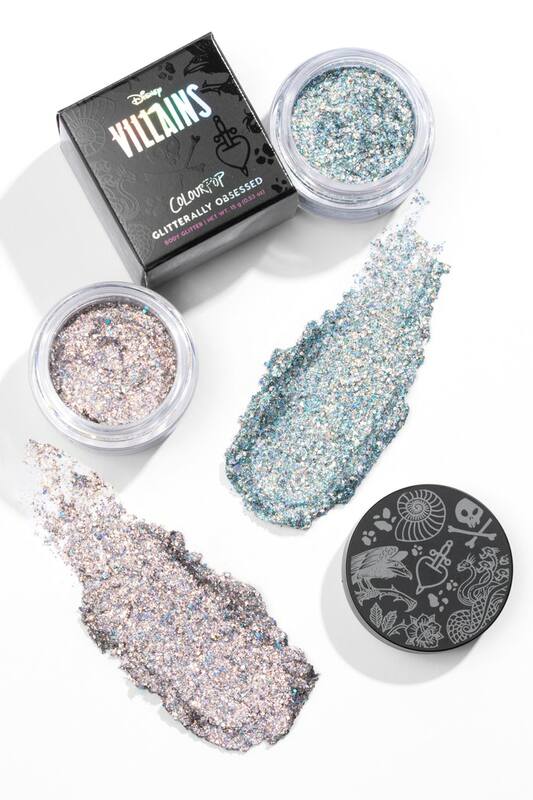 Outshine the princesses in your life with Colourpop’s Glitterally Obsessed body glitter. 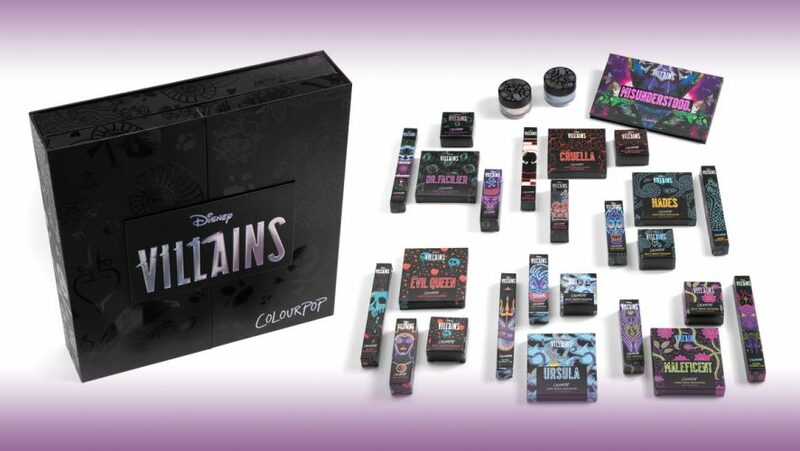 Though all of the makeup above can be purchased individually, if every part of the Disney x ColourPop Villains collection is tempting you, then you can purchase their entire PR Collection. We are giving away the complete Villains PR BOX and some other goodies from @dnhandbags & @RockLoveJewelry to 1 lucky winner! 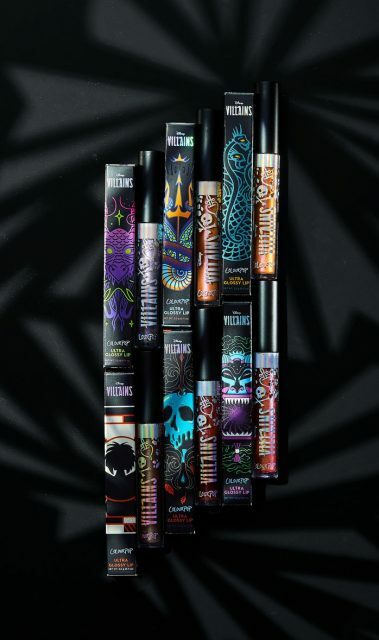 Colourpop’s wickedly gorgeous Disney Villains collection will be available for sale on Colourpop and the Disney Store from March 22.